Looking for a perfect data collection software solution for your business? Below you’ll find some tips to help you make the right choice. Leveraging mobile technologies into the field allows companies to streamline retail data collection, get data faster, and gain insights for marketing strategies. Today there is a great number of retail data collection solutions designed to automate retail audits, merchandising and field marketing activities by eliminating paper forms and manual data entry. To make the choice of data collection software for your company less confusing and stressful, follow these steps. Keep in mind that when you implement a comprehensive data collection solution, it can bring value to several departments within one company helping to cut the budget. For instance, an all-in-one data collection app can be used to automate merchandising activities, perform customer surveys, manage POS materials, or even create analytic reports based on the retail data collected by field reps.
Finding a fair and transparent pricing model suitable for your budget you can saves your money and even reduce some expenses to zero. In today’s world, where mobile devices are quickly becoming a huge part of retail space enabling field reps to easily collect field data, a long-time trend is a choice of SaaS solutions that can run common software platforms like Android & iOS. When you implement a data collection solution for Android and iOS tablets and smartphones, you save money on servers, hardware, and IT staff. If you’ll manage to find retail data collection solution that allows BYOD implementation, you can also completely eliminate costs for field reps’ mobile devices and the need to train the staff on how to operate the software. The price for data collection software can vary depending on the features you need. Look for data collection software vendors that offer a free trial, so you can decide whether the application fits for your needs without upfront spending. Opt for scalable data collection solutions, which can grow with your business and won’t cost so much at an early stage. Consider the opportunity of moving to the Cloud as many Cloud data collection software vendors offer free data storage as a part of their service. The important benefits of a SaaS data collection software is that it’s typically extremely easy to deploy. No installation needed, you get Web access to the application from anywhere. Cloud data collection software allows companies to easily operate retail data worldwide with the same functionality, which is particularly important when the business is international or runs different time zones. Data sharing capabilities and integration with a third-party software are also important issues that should be considered. If you plan to work with big data Cloud implementation is a must. Cloud data collection software provides real-time data workflow and 24/7 access to information worldwide and allows processing huge amounts of data, including thousands of photos, very quickly. The most advanced types of data collection solutions provide sophisticated reporting and powerful analytic capabilities so the managers can get the precise data they need at the moment in a format they need it. In order to help companies find data collection solution that fits as well as possible VisitBasis has developed several retail data collection software pricing models and offers many optional features to customers, which makes our data collection software one of the most competitive products on the market. 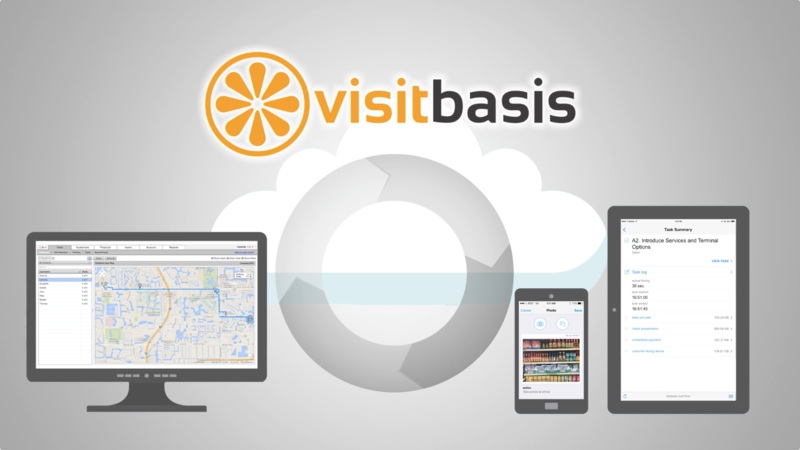 Please, register at www.visitbasis.com for a free trial or book a free online demo to get answers to all questions.